You would think that faith communities of all religions, where people worship together and gather as family would automatically be welcoming and safe places for people with Alzheimer’s or cognitive impairments and their families. The reality is that while they mean to be most have not made the accommodations to be dementia friendly. It is not on purpose; it just takes education and some modifications for the desire to become reality. 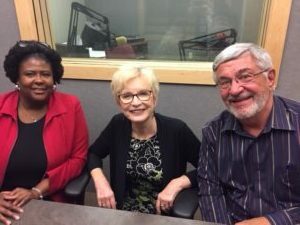 On this program, enjoy a lively conversation between Gina Green-Harris and Pastor Stephen Welch, who conducted monthly dementia friendly church services in Watertown, Wisconsin. They describe why faith communities are important centers to advance the quality of life for those impacted by Alzheimer’s and what it takes to achieve that. Click here to listen.